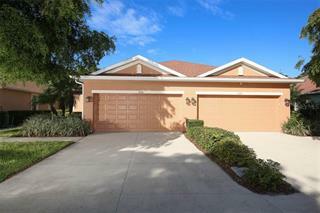 Ask a question about 690 Hibiscus Way, or schedule a tour. 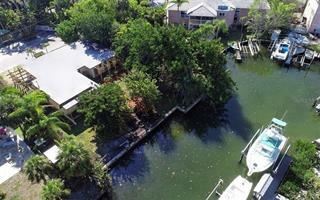 Once in a lifetime opportunity to own an incomparable boater’s dream. 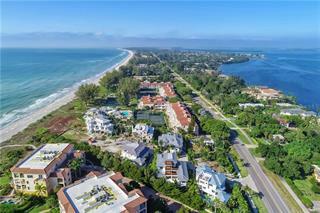 Panoramic views from every room of Sarasota Bay; deep-water dock with irreplaceable boathouse; park-like 3/4 acres in north-end neighborhood, just a few streets away... more. from Gulf beaches. 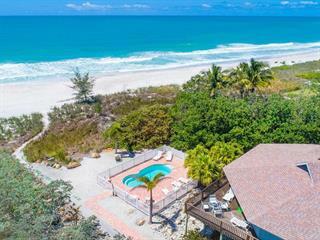 Light, bright, custom home with open layout radiates unparalleled views of boating, fishing and wildlife over 154 feet of bay frontage, with Tidy Island, Jewfish and Sister Keys as backdrop. 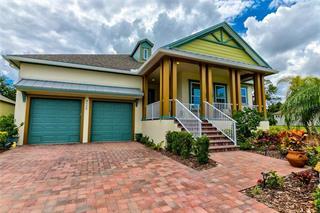 Focal point of the extensively updated home is a 400 sq. ft. bayside lanai that opens from the great room. The kitchen has stainless appliances including a gas range, quartz counters and a center island with seating. The home features a private office/studio, garage with workshop, a study/den, impact-glass windows and doors, southern pine floors in main living areas and a natural stone wood-burning fireplace. The master suite has a spacious dressing room. Two more bedrooms with ensuite baths provide ample comfort for family and guests. The docks,with two outside slips and 1,150 sq. ft. boathouse with two covered slips, were completely rebuilt in 2013; the 168-foot seawall in 2015. Lush landscaping features mature trees, native shrubs, grasses and flowers. Quiet historic neighborhood is ideal for walking and biking with a voluntary Village association providing social events and community updates. 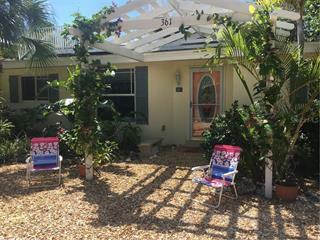 Sarasota and Bradenton, both close by, offer music, art, theater and fine dining. 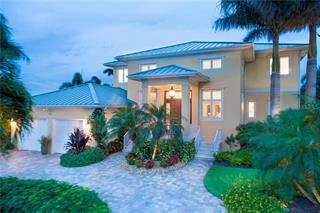 Private and pristine, this haven is Longboat Key waterfront at its finest.